A Turkish former opposition leader on trial on terrorism charges said in his defence that Turkish democracy could only be saved by the judiciary, left-wing newspaper Evrensel said. Not watching were a large number of foreign diplomats and human rights group representatives, who were shut out of the courtroom by a last-minute decision to limit the number of spectators to 20. 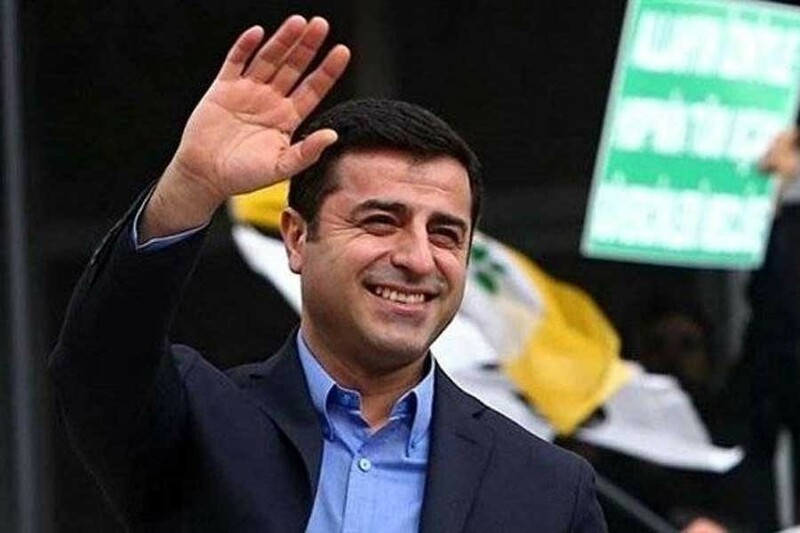 The former head of the pro-Kurdish Peoples’ Democratic Party (HDP), the third biggest party in the last election in 2015, has been jailed for 15 months and faces possible sentences of up to 142 years in jail on a range of terrorism charges. The former lawyer said he had did not face a fair trial. In addition, he said, there was a co-ordinated campaign against him in the Turkish media. “If this number of news items had written that Demirtaş was an alien, everyone would have believed that I was an alien,” he said. HDP'nin Ã¶nceki dÃ¶nem EÅ BaÅkanÄ± Selahattin DemirtaÅ, tutuklu olduÄu davada ilk kez duruÅma salonunda. DemirtaÅ savunmasÄ±nÄ± yaptÄ±.